The term Fall is used to describe a meteorite event which is witnessed with pieces being recovered soon after. In February of 2013 the world got a wake up call from space as a 12,000-13,000 metric tons asteroid plunged into the atmosphere. It was traveling in excess of 40,000 miles per hour. When it exploded many miles above the ground it sent out shock waves which caused damage nearly 200 kilometers around the location in Russia. This Chelyabinsk Meteorite is an almost completely fusion crusted individual meteorite of the Chelyabinsk event. Thousands have been found now. 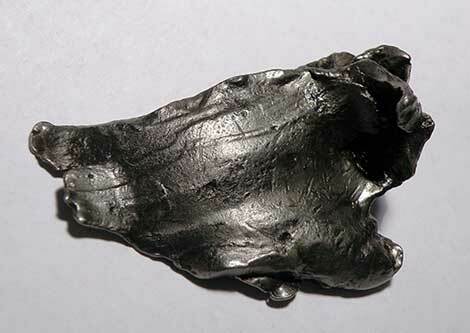 Freshly recovered meteorites will usually be black in color. That explosion created thousands of fragments of the mass and reduced the major portion to dust. Immediately after the event scientists and meteorite hunters were in the area down range from the explosion searching for meteorites. 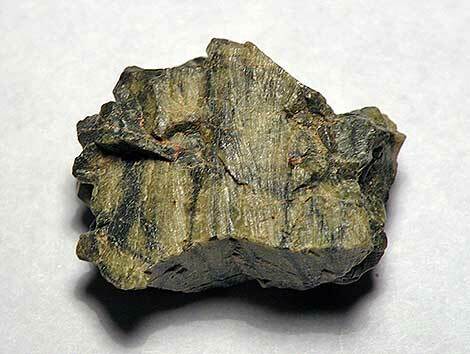 Pieces now known as Chelyabinsk meteorites were quickly recovered. From the size of a pea and smaller to the large piece recovered from a lake weighing 650 kilograms these are all meteorites from the Chelyabinsk Fall. 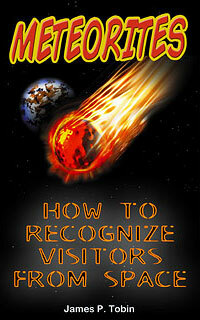 One very obvious distinction between meteorites of a Fall and other meteorites is their name and pedigree. Meteorites are named for the nearest post office or geographical feature. This is usually pretty straight forward with Falls. The first recovered piece usually determines what the name will be. And since most of the specimens are likely to be found within a few years of the event (many much sooner) they will all have a very similar set of characteristics making them easier to identify. There are several meteorite forming events witnessed each year. And as time goes on and technology improves more events yield recovered meteorites. Most are not as dramatic as Chelyabinsk where 1500 people were injured. Most are just an extraordinarily brilliant fireball which is usually seen exploding during flight in a very bright burst of light. Sometimes the explosion will result in many streaming fragments which blaze with light as they continue to travel until they extinguish. All this visible activity happens many miles above the surface. The incoming body is slowing as it travels, but starts at speeds high enough to create a zone of incandescence around it. As the atmosphere gets thicker the pressure on the speeding body increases. Finally, the asteroid may not be able to stand up to the pressure and structurally fails very violently. The resulting fragments of the explosion continue to travel for a while along the same track but individually they have tiny mass and quickly fall nearly straight down. This last phase is referred to as “Dark Flight”. The streak of light, the brilliant explosion, the loud detonations all happen and are then followed by several minutes of descent before fragments begin to land on the ground. The smallest will often be found toward one end of the region on the ground. The larger pieces which did travel after the explosion a little further will be toward the other side down range. Thus the characteristic elliptical strewnfield is created. Winds may play a role in the distribution of the fragments on the ground; mixing sizes up some. The Tatahouine fireball exploded over the city of the same name in Tunisia on June 27, 1931. 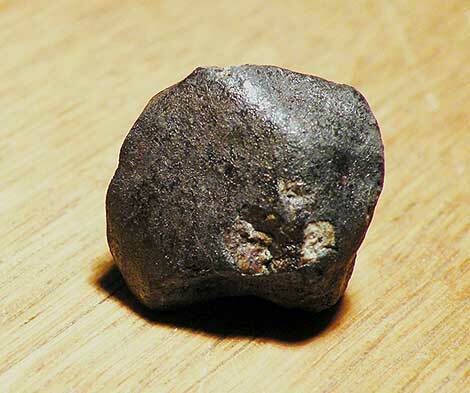 Mostly small meteorite fragments were created and thousands have been found since the event. But since this is a diogenite rich achondrite type meteorite the pieces do not have a black fusion crust. In fact only rarely do fragments of Tatahouine ever show any fusion crust at all. In decades past it was necessary to obtain reports from eye witnesses on all sides of the event. By doing this investigators were able to draw lines on maps and pinpoint the area where meteorites should have landed. This method worked and aspects of the method are still used today. With the vast numbers of cameras in use today much better evidence is available then the often imprecise eye witness reports of the past. Doppler Radar for the last several years has brought even more precision to the recovery of specimens from meteorite Falls. As Doppler Radar tracks rain falling for weather reporting it can also track the dust and fragments of meteorite material falling to the ground. Using several Dopplers works just like the eye witness reports of the past to pinpoint the location that meteorite fragments landed. 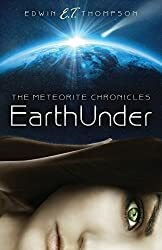 A devoted group of individuals called meteorite hunters grab their bags and equipment and head to any place that a brilliant fireball has exploded. Sometimes they will hunt even when no explosion has occurred. The chances are better that fragments will be found if there has been an explosion with detonations that are heard. But, meteorites can arrive on the ground as single piece or very few pieces. If the visible event was largest enough it may get the hunters going. It may be after the first piece is recovered that the rush begins but sometimes the hunters just know that meteorites are out there after a fireball and they go. But, for sure after that first piece is found they will stay for as long as it takes to find more meteorites. They go with the hope that many meteorites are on the ground and that they will find a lot of them. Often the reality is less rewarding. In two recent events some hunters found one or two stones and many found none after days or weeks of hunting. Many other factors including the type of meteorite determine how much survives to the ground. The terrain where the meteorites landed also determines whether they can be found. Forgetting all the ones landing in the oceans those arriving on land can fall in jungles and mountains. These are difficult areas to hunt. Much higher success is achieved when the meteorites fall over deserts and even over cities. The people of cities are familiar with the little portion of the world they live in. They will see that strange rock that was not in their yard the day before. They will see the stones in the road and parking lots that should not be there. In the desert it is still difficult to hunt but with persistence, meteorite hunters are often rewarded as at Battle Mountain a fall that occurred last year. On February 12, 1947 a tremendous fireball was observed over the Maritime Territory of Russia. Many tons of this iron meteorite have been found. The fragment pictured here is a shrapnel chunk formed in one of those impacts. Thousands of individual pieces formed from the breaking up that occurred in the atmosphere as well. There was an adage in the past that strewnfields are never hunted out completely. While that may still be technically true, the quality of equipment today allows for a much high percentage of the specimens to be found. But, it is still possible to return to old meteorite fall locations and find more stones. One great example is Holbrook, Arizona where a brilliant fireball exploded and stones rained down on an area northeast of town in 1912. Meteorites have been found there for a hundred years and even after the 14,000 meteorites found immediately a few can still be found by the diligent hunter today. These specimens found now are still referred to as members of the Holbrook meteorite fall. At the time of this writing a very bright fireball was seen and recorded on all sky cameras passing over the California desert. Hunters are making decisions about packing their stuff and hitting the road to the location. I am thinking the same thing. The location as it has thus far been determined is just about fifty miles from where Paul Harris and I go to do our astrophotography. Just a three hour drive from home. It does not get much better than that for a meteorite hunter. Desert just a hundred and fifty miles from home. But, did this event drop any meteorites? That seems to be the question. Meteorites from Falls give scientists the opportunity to analyses material that was out in space only hours or days earlier. This is exciting since there is information in fresh meteorites that does not last longer than a short time. Meteorites are never actually radioactive. Though it always seems that someone will get out a Geiger Counter and try to find some activity in fresh meteorites. But, fresh meteorites do have very minute amounts of odd elements that can be measured in a laboratory with very sensitive instruments. These tiny levels of radioactivity result from bombardment by cosmic rays while the rock was in space. Measuring these levels tells scientists things about the environment in space and the length of the rock’s exposure time to cosmic rays. These short lived radioactive elements must be searched for within a few days of falling to Earth. Fresh fallen meteorites are desirable for other reasons. They have fusion crusts that are free of damage from years of rain and wind. They have insides that will likewise be free of rust spots and rust staining. So recovery before adverse weather is always on hunter’s minds. Nothing really compares to the velvety black fusion crust of a fresh meteorite with fine lines and flow marks. These details are easily damaged by the wind and by the turning of the soil or movement by water. 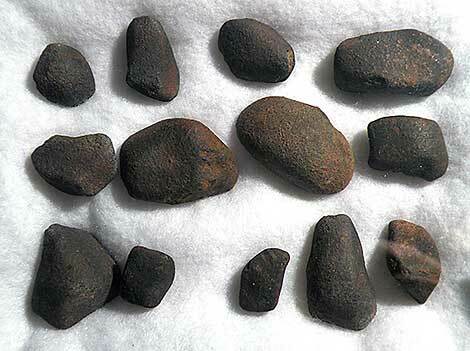 Pictured above is a collection of Gao meteorites which fell on March 5, 1960 in the country of Burkina Faso. Large numbers of stones have been recovered from this event. After years of exposure to Earth’s weather they do show some changes. They are no longer pure black but are now spotted with brown and covered with a light coating of tan colored deposits. Some of their fine surface detail has abraded away. But, they are still quite similar to each other in overall appearance. Sometimes a meteorite can arrive without any notice at all. There was a case a number of years ago in which a person was in their yard gardening and heard a thud and moments later when they turned around a meteorite stone was laying near them on the ground. But these are rare events usually meteorites arrive with some drama and visual excitement. If its arrival is witnessed the pieces recovered are from a Fall. Next time we will discuss the larger group of recovered meteorites called Meteorite Finds. « Meteorites Past and Present.